Hey, Nature Lovers! 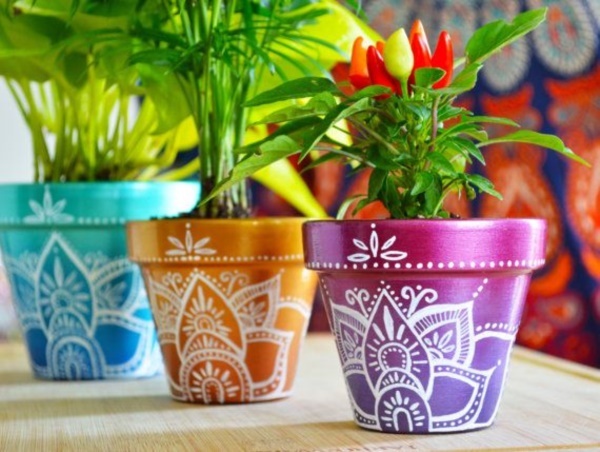 You would be surprised to know that apart from decorating your rooms with flower pots, placing sweet-smelling flowers in them, you can also paint creative designs on them for an attractive and elegant appeal. 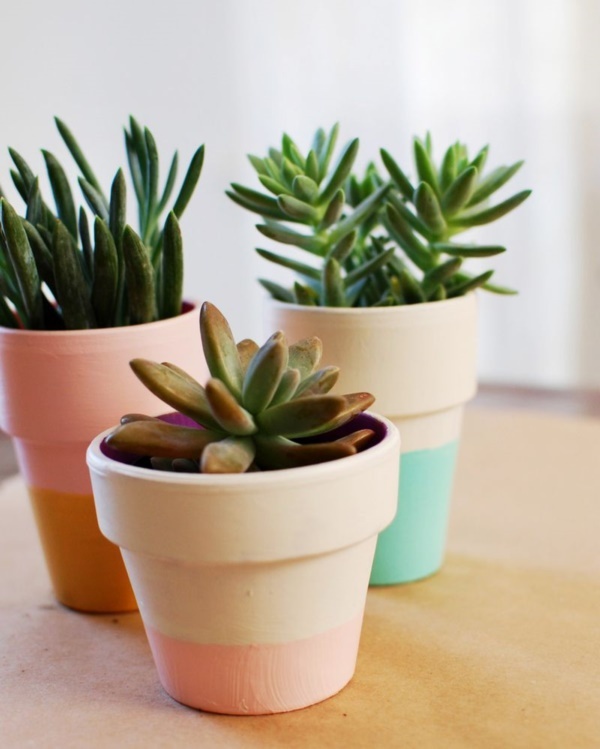 For this, you can choose simple clay pots or ones made of terracotta. Well! 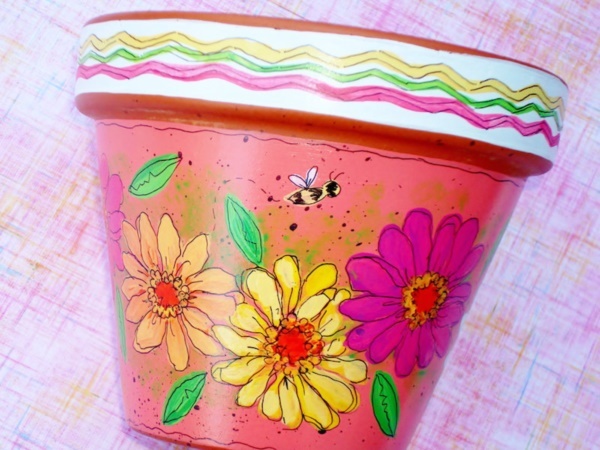 When it comes to painting pots, the design possibilities are endless. 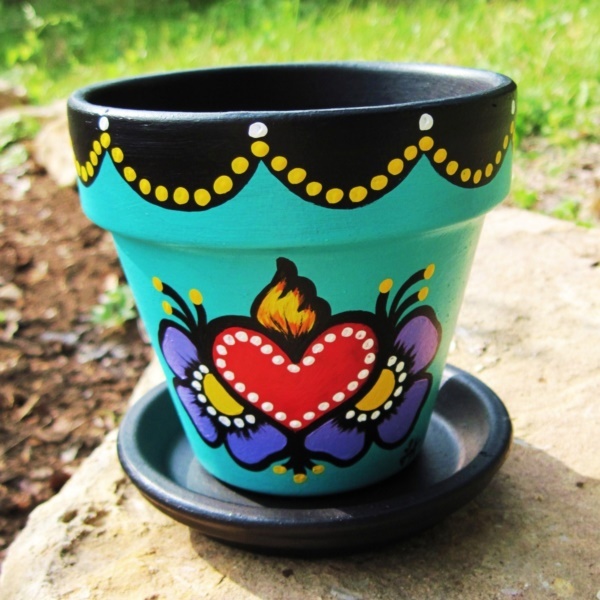 For me, the best part of painting pots is coming up with the designs that are unique and creative. 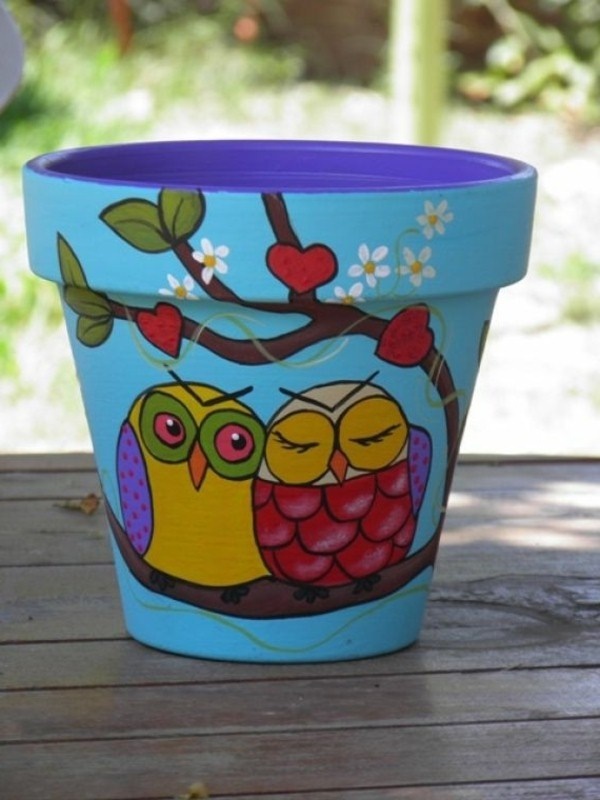 This spring season, if you’re looking for easy pot painting ideas and designs for beginners – draw your inspiration from the below-mentioned ideas and create your own master piece. 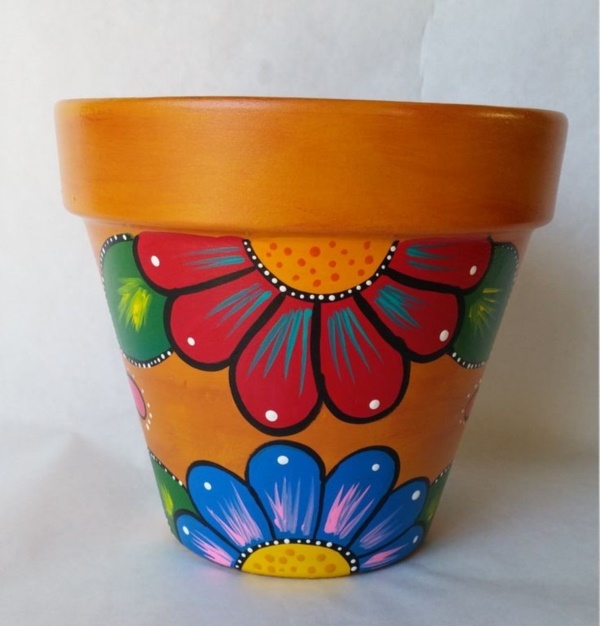 Feel happy in selecting one of these hand painted flower pots and add some creative flare to your personalized yard or garden. 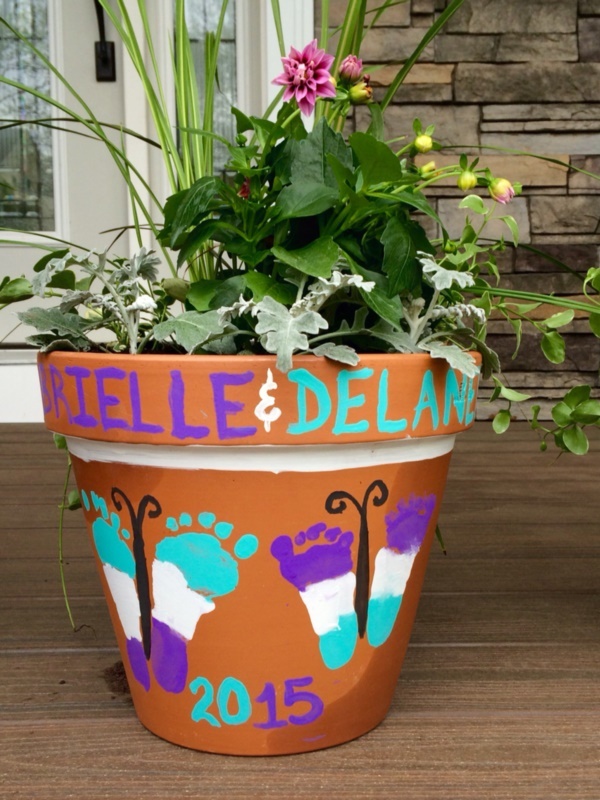 Creating this design is a fun and kid friendly activity. 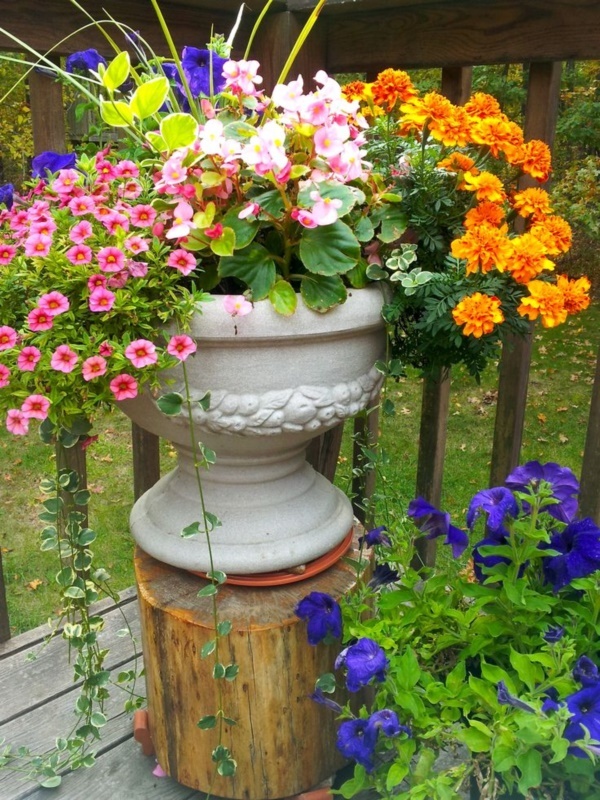 Use a combo of colors, you think will blend well together, dip your feet in and go to the garden. 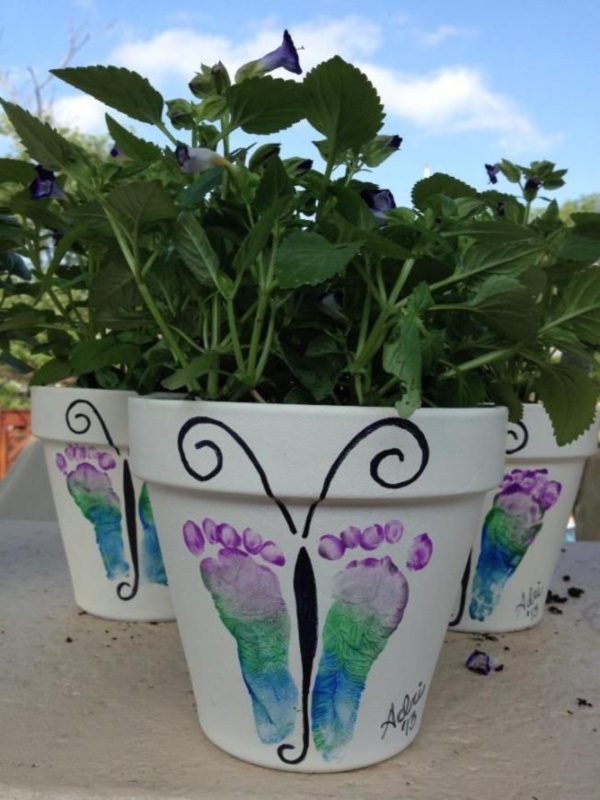 Kids will enjoy this…all you need to be is an artist with your little two hands and feet. 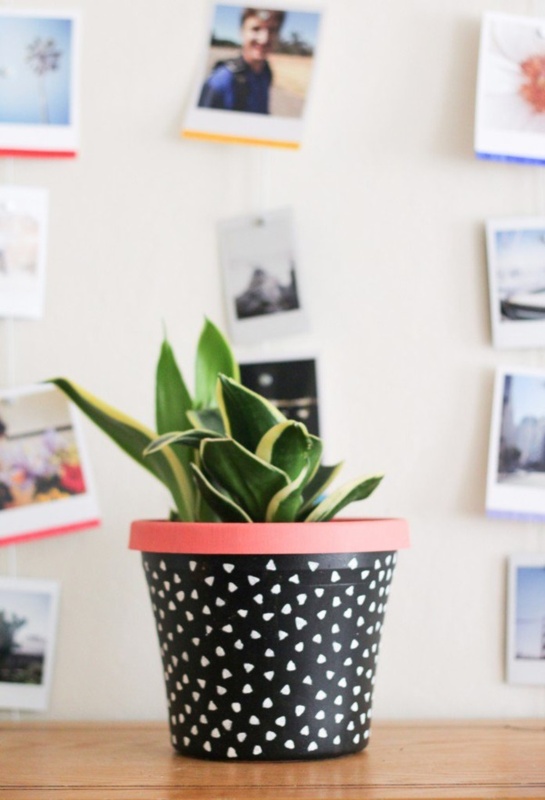 Festive Dots and Shapes Pot! 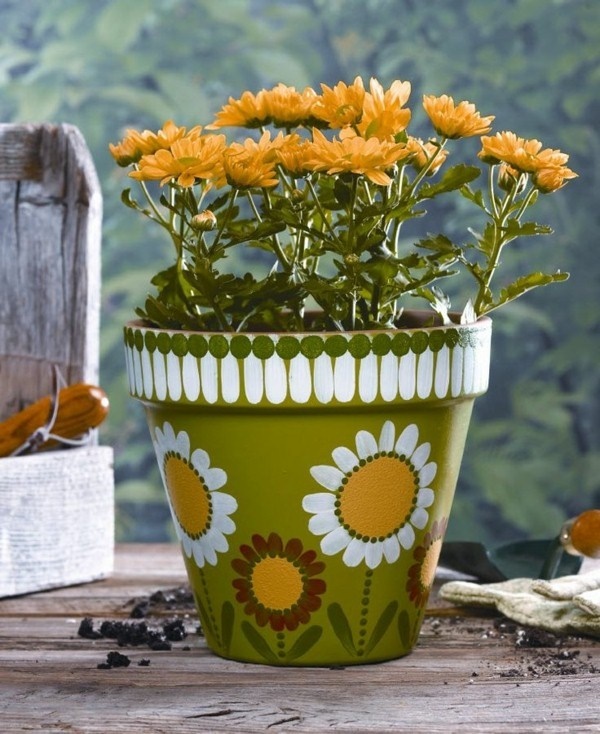 Festive pots are worldwide popular. 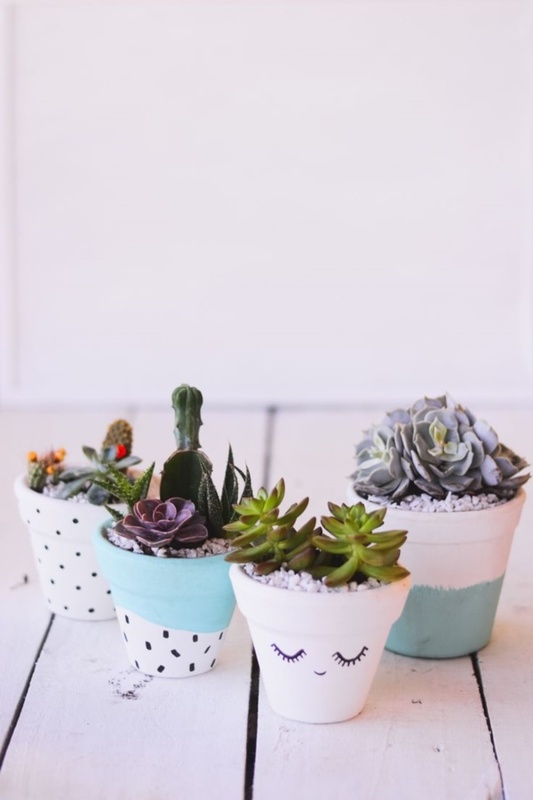 These pots feature a fun polka-dot design with unique bordered shapes and wavy lines. 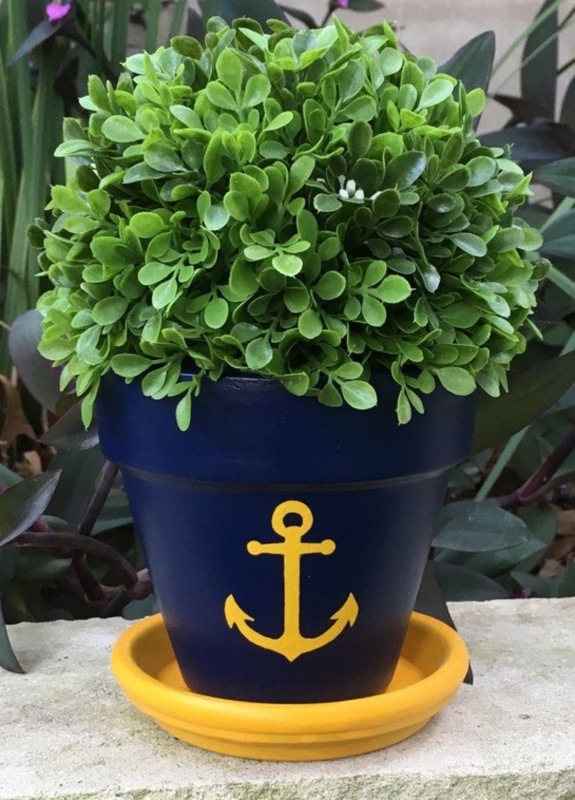 A pot like this is a great addition to any indoor/outdoor garden. 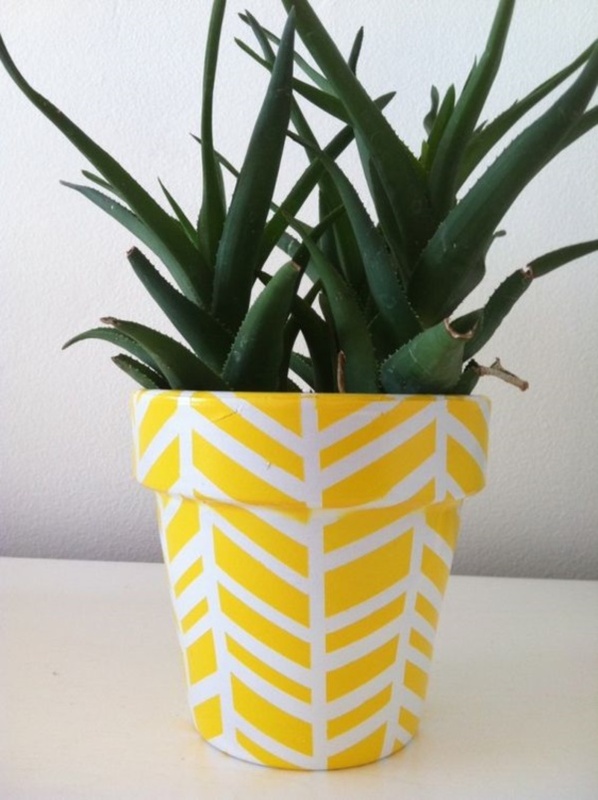 The use of bold colors and flashy design easily draws the attention of everyone. This design features staggered patches of an antique gold shade. 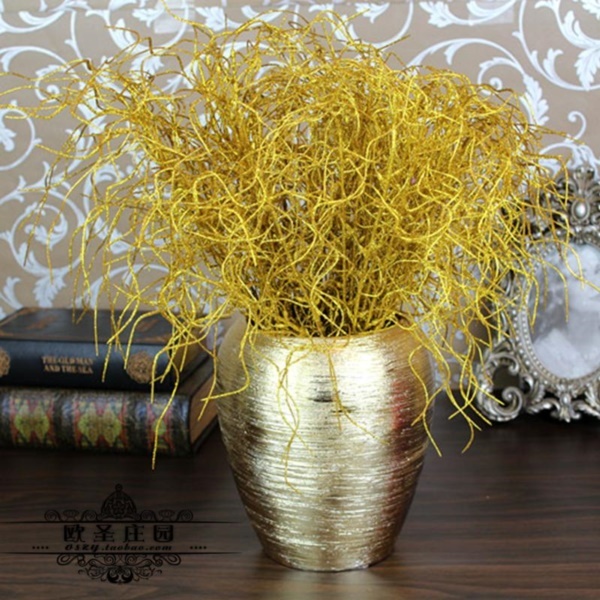 Apply the red base coat and later using a wide foam brush apply undiluted gold paint unevenly, leaving streaks that will allow the base color to show through emulating gold leaf. 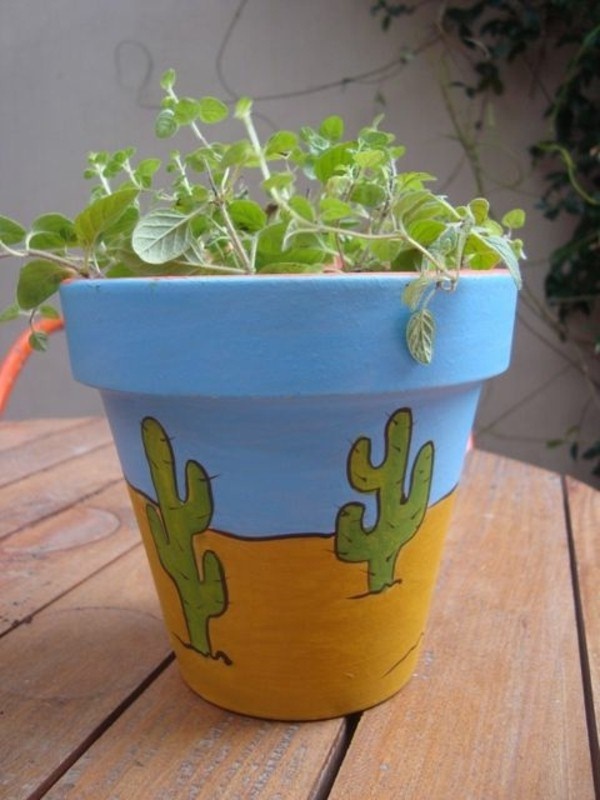 The design is categorized among easy pot painting ideas and designs for beginners. 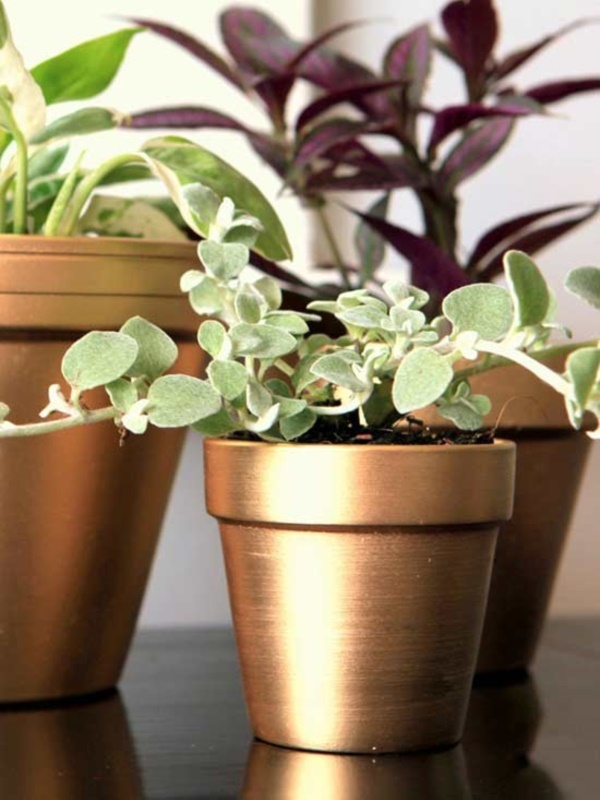 Want to give magnificent look to your pot? 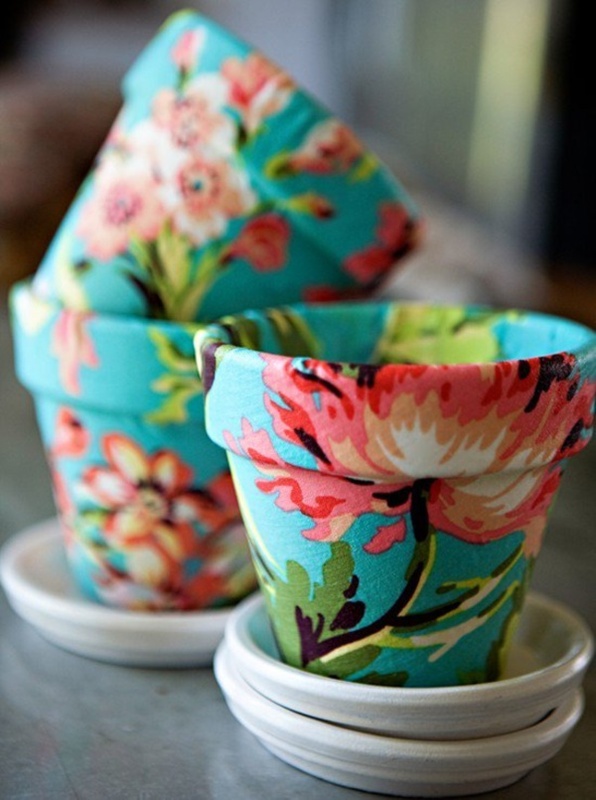 Start your crazy quilt pot by painting random patches with four or five vibrant colors of paint. 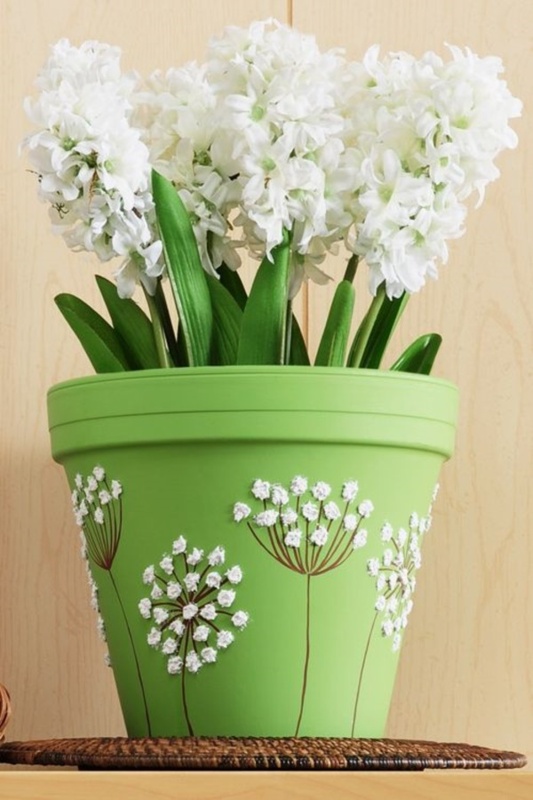 As soon as the patches dry, draw in flowers, dots, and stripes with a small brush. 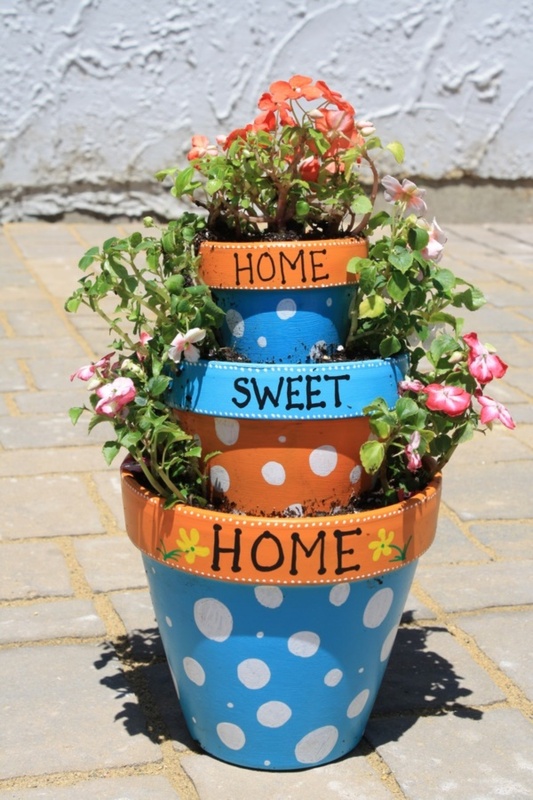 To make it more special, you can embellish it with stones, shells and even satin ribbon. Amazing to look at and kids will enjoy doing it anytime! 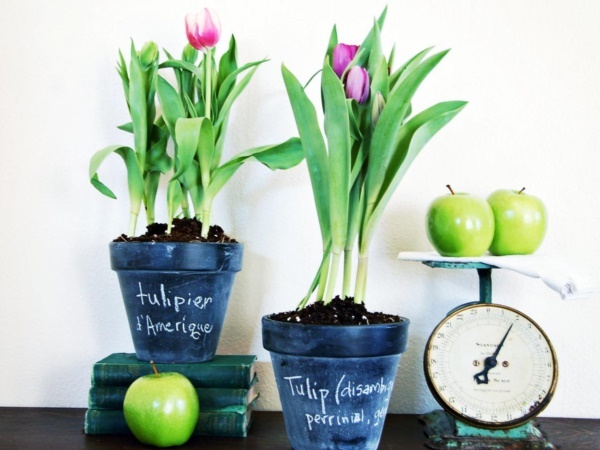 For getting the perfect chalkboard surface, paint two layers on the finished pot – one in a horizontal way and the other vertically. 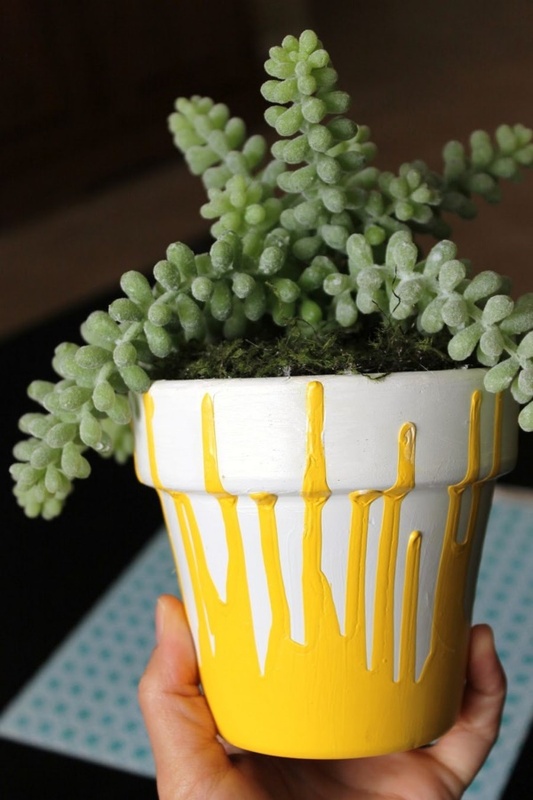 Do not forget to spray the pot at the end for a shiny finish. 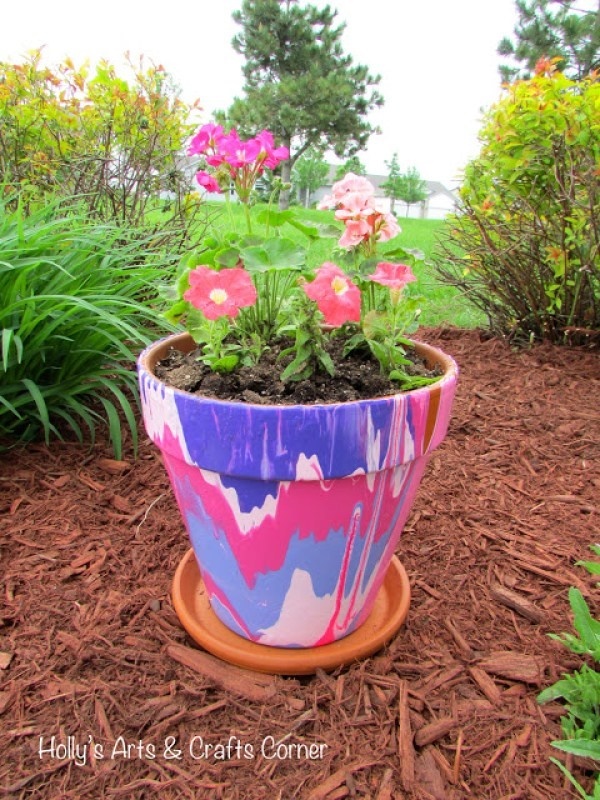 Do you want to make your flower pot look perfectly admirable? 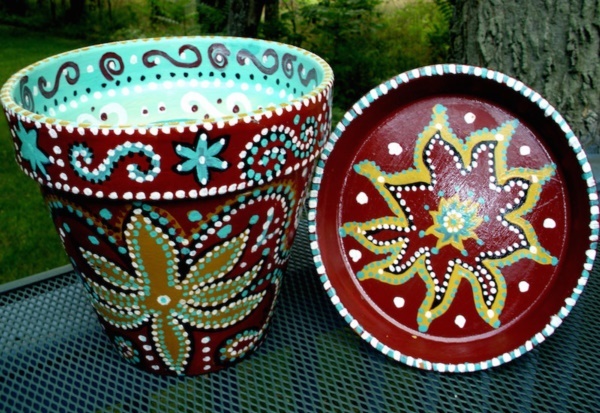 Try this celestial design as one of the easiest pot painting ideas and designs for beginners! Start by applying the blue as a base and then choose a color for the stars. 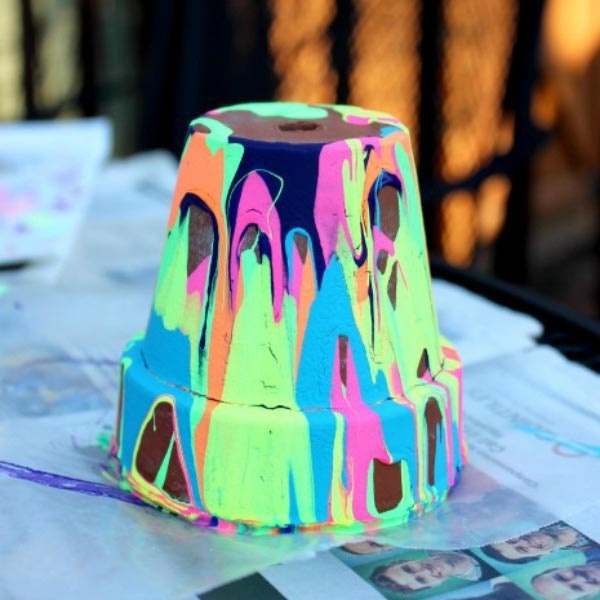 Using a paint brush, draw the paint out from the middle to recreate the star burst effect. 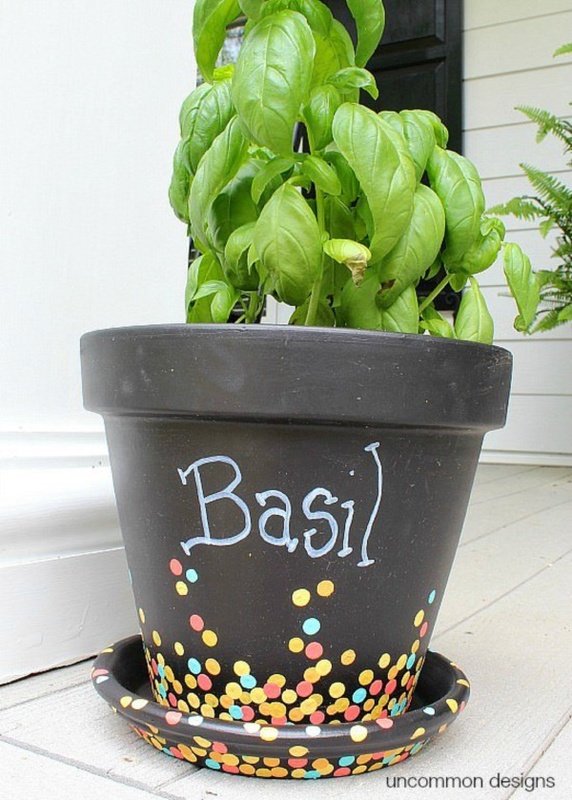 Moreover, you can make some more stars at random spots on the pot. 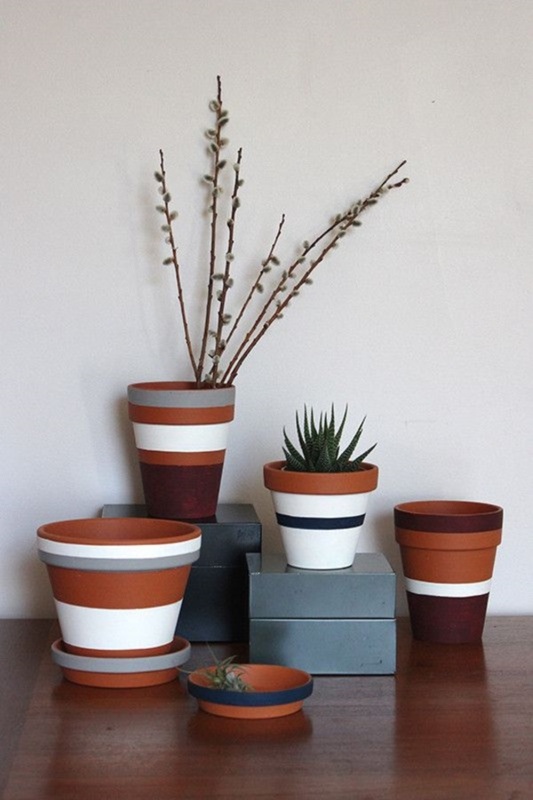 To give your pot sophisticated look, apply red as the base color. 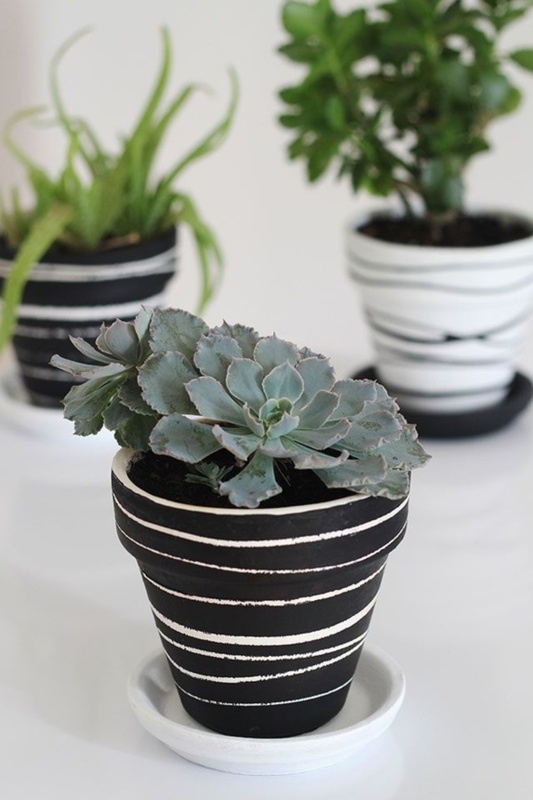 Then, apply a thick coat of undiluted black paint completely covering the base color on the outside surface of the pot. Before the black color dries completely, using a stiff wire brush scratch off the top coat to reveal the red color below. 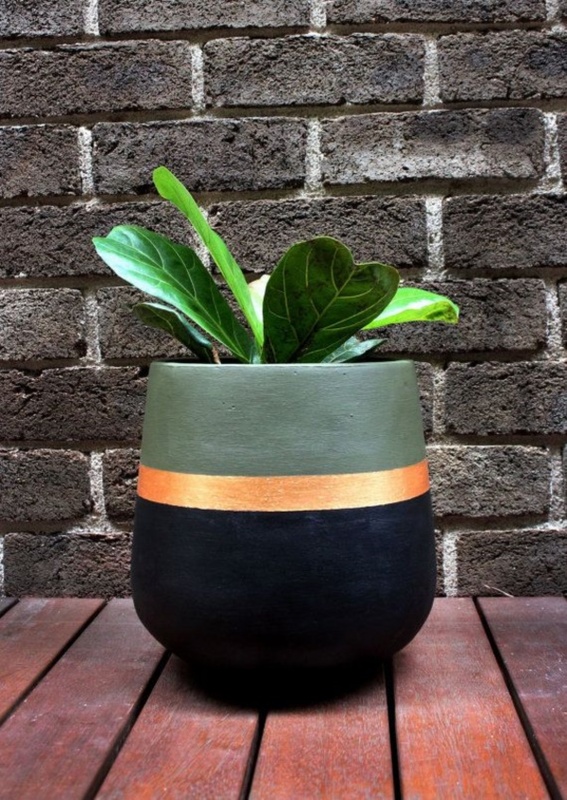 Pots with such design are a fabulous gift option for any special occasion. 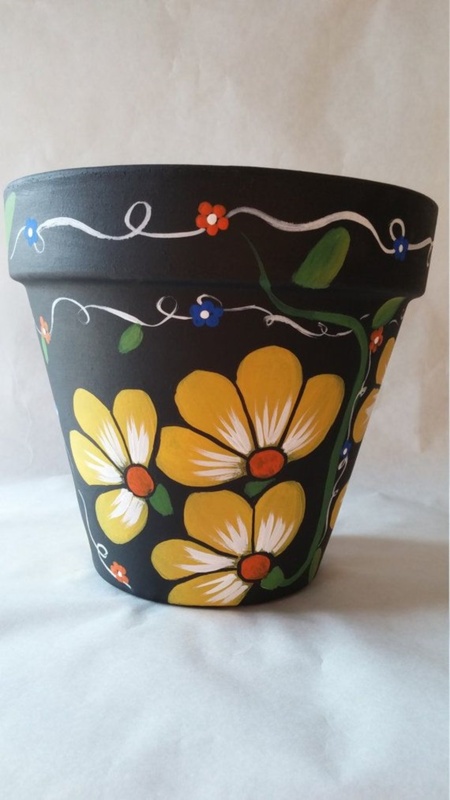 Above points prove that painting is an art all about making connections because when we work in our gardens, we are not only interacting with nature, in fact, we are putting our own creative fingerprint on it. 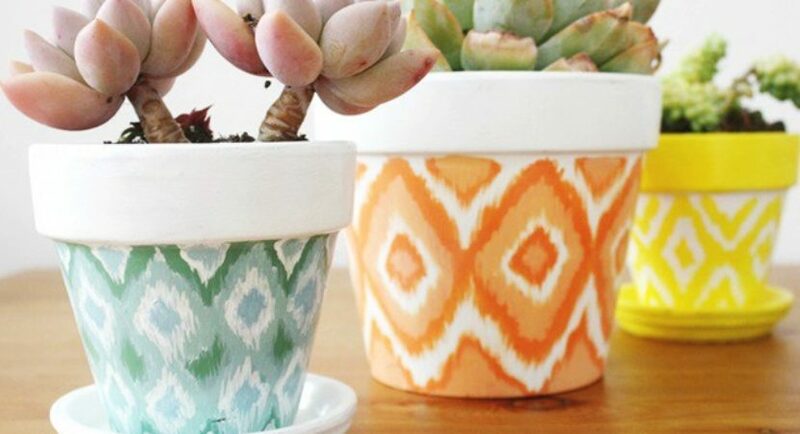 All these easy pot painting ideas and designs for beginners are a true inspiration and help you re-create beautifully crafted hand-painted pots. 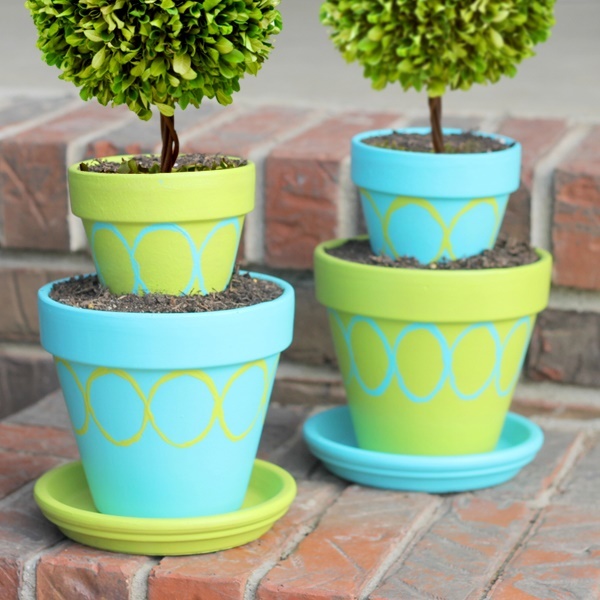 These are an easy and inexpensive way to dress up the garden as well as a thoughtful way to personalize a plant gift.